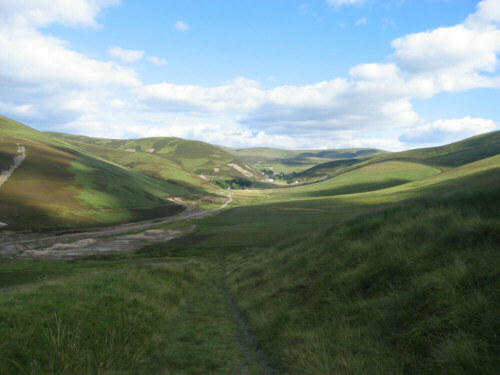 This is a picture of part of the Southern Upland Way near Wanlockhead. The Southern Upland Way is Britain's first official coast to coast long distance footpath. Running for 212 miles (340 kms) the south west coast of Scotland at Portpatrick to Cockburnspath on the eastern seaboard.